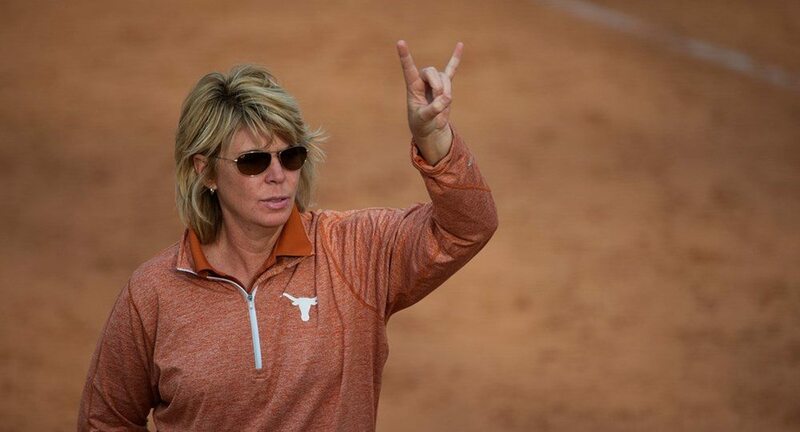 The only head coach in the history of the program, Texas softball coach Connie Clark has stepped down after 23 seasons at the helm of the program. AUSTIN, Texas — Connie Clark was quick to say that anytime the University of Texas softball team was not participating in the Women’s College World Series in June that the season past was not a success. Such was the height of her expectations for the Longhorns each year, and most times her players had the talent to reach that goal. Clark stepped down Wednesday as the head softball coach at Texas, four days after the Longhorns ended their season in the Seattle Regional with a 3-0 loss to No. 25 Minnesota. Texas went 33-26 in Clark’s 23rd and final campaign at the helm and has not been to the Women’s College World Series — Clark’s own benchmark for a team’s greatness — in five seasons. “This decision comes with a great deal of emotion because it was such a blessing to be able to build this program from day one and to manage it for 23 years,” Clark said in a statement released Wednesday by the athletic department.